Former Nuix executive chair Anthony Castagna has been sentenced to seven years imprisonment, with a non-parole period of four years, for his role in a money laundering and tax evasion scheme. The case was heard on 10 August at the NSW Supreme Court. Castagna’s cousin, Robert Agius, who was Castagna’s accountant for a period, was also sentenced to seven years’ imprisonment and will be eligible for parole in March 2021. Castagna and Agius were charged of having conspired with each other to defraud the Commonwealth between roughly 8 April 1998 and 23 May 2001, in addition to conspiring with each other with the intention of dishonestly causing a loss to the Commonwealth during around 24 May 2001 and 30 July 2009. The charges relate to Castagna’s income during the time where he was a consultant for Macquarie Bank. Specifically, Castagna failed to declare approximately $5.7 million of income and bonuses and according to the court documents this resulted in a $2.6 million loss. Both Castagna and Agius have been disqualified from managing Australian corporations for five years after their release. Justice Adamson said that in many ways Castagna was an apparently model citizen. "He helped several businesses to flourish by raising the requisite capital," Justice Adamson said. "Nuix is a notable example. Its founder died before the software business could be established. "His widow asked for Dr Castagna’s assistance to raise capital for Nuix. Dr Castagna’s efforts helped create a valuable business. "According to Mr Phillips, as at 5 March 2018, Nuix had a market value of $0.5 billion, of which Ferodale had an interest of between seven and 10 per cent." Agius had previously been arrested and charged with tax fraud and money-laundering offences, with the Australian Federal Police holding warrants to search his home where documents that also related to Castagna’s affairs were seized. On 28 October 2015, the charges against Dr Castagna and Mr Agius were dismissed - the jury was empanelled on 19 February 2018 and verdicts were returned on 18 April 2018, when a jury found both guilty. 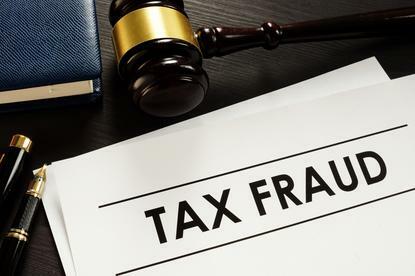 "Money laundering and tax evasion have serious repercussions on the Australian economy and we are committed to dismantling these schemes and ensuring those responsible have their day in court,” said Angus Taylor, minister for Law Enforcement and Cyber Security.